If Smart has its own Netphone line which features affordable smartphones to draw potential consumers to their network, Globe now offers MediaPad Tablet for just Php 10,990. This 7-inch Huawei Tablet has been launched in the market months ago has been tweaked by Globe and called it the Tattoo MediaPad. But this version will be infused with Ice Cream Sandwich out of the box instead of Honeycomb. Other notable specs are 1200 x 800 HD display, 1.2GHz dual-core processor, 8GB internal storage (upgradable to 32 GB) and 5MP-shooter. 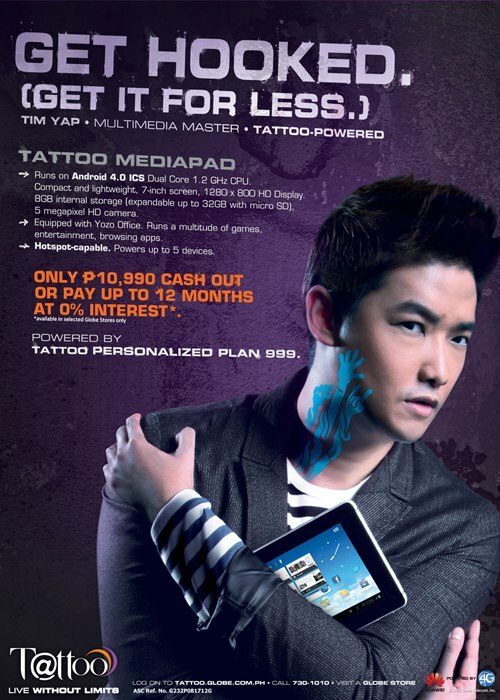 When you purchase Tattoo MediaPad, you should subscribe to Globe’s Tattoo Personalized Plan 999 with 24-month lock-in, with speed up to 7.2 Mbps. 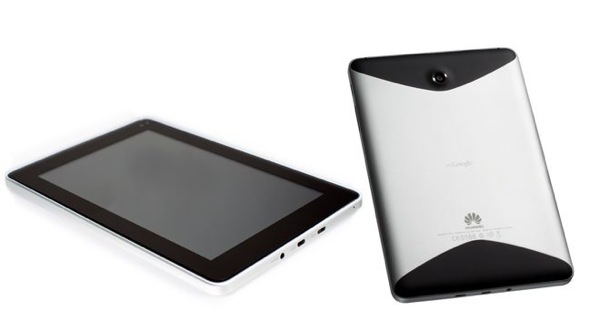 This is the first time Globe had attempted to penetrate the tablet market. The device is a good deal for Php 10,990 if the lock-in period doesn't bother you.